Are you ready for Thanksgiving? We’re going to California to visit Dave’s family, so the pressure is off for me. We’ve hosted Thanksgiving twice in the last five years and while it’s fun to host, it’s also very nice to be the guest! And what’s a more appropriate recipe to share on Thanksgiving week than…oatmeal! You can tell how little I’ve actually been thinking about turkey and potatoes and stuffing. I always pre-soak my steel cut oats, and I sometimes pre-soak my rolled oats. In general, soaking grains is beneficial for nutrient absorption and digestibility. But I’ve found it’s not as necessary with rolled oats. They absorb water quickly and cook quickly and they’re an easily digestible grain. 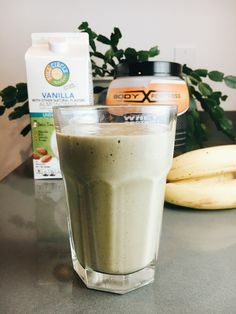 So I didn’t pre-soak my oats this time, but you can check out this banana oatmeal recipe if you want to pre-soak your rolled oats. I like to use Bob’s Red Mill Organic Rolled Oats, Redmond Real Salt, Kirkland Saigon Cinnamon, and Kirkland Organic Maple Syrup. You can find persimmons at Costco, most grocery stores, and the best persimmons at Asian markets. And I like to add raw whole milk that I purchase at Real Foods Market. 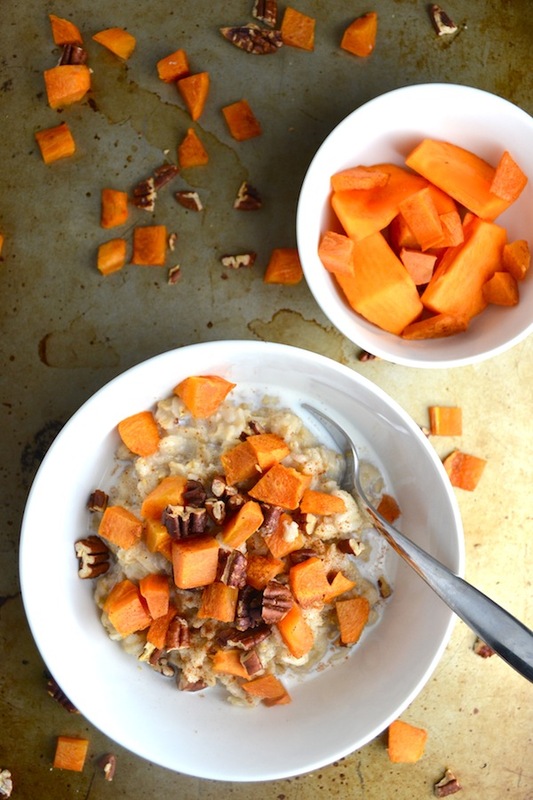 If you don’t want to roast your persimmons, you can simply slice them up and add them to your oatmeal fresh. I like that way too. Enjoy! Heat a pot over medium heat and add water and salt. When the water is boiling, add the rolled oats. Turn heat to low and simmer the oats for 10 minutes, or until the water is mostly absorbed. While the oatmeal is cooking, quarter and peel the persimmon. Cut it into about 12 slices and place on a baking sheet. Add the pecans to the baking sheet. 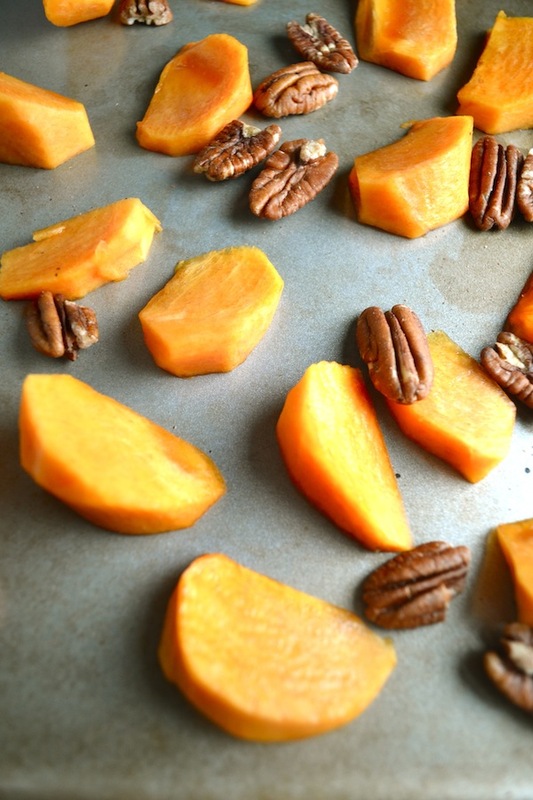 Sprinkle cinnamon over the persimmons and pecans. Place the pan on the middle rack and cook for about 6-8 minutes, or until persimmons are caramelizing. Let the persimmons and pecans cool slightly and chop them into smaller pieces. 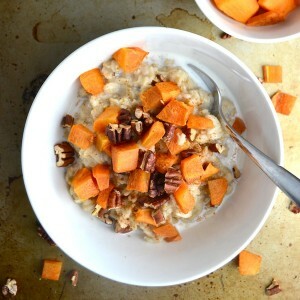 Divide the oatmeal into two bowls and top with persimmons, pecans, whole milk or cream, and a little bit of maple syrup.